Named after a daughter of Colonel Hungerford, Railroad V.P., Louise dates to 1881, the date the railroad came through. Hungerford had been a barber in New York City and passed through Texas en route to Mexico during the Mexican War. His beautiful daughters married well. Louise married a Mining Engineer who struck it rich in Nevada, and Edna married a European Count named Telferner. Together they formed a railroad company: The New York, Texas and Mexican Railroad. Construction began from both Rosenburg and Victoria . This explains the town names for Edna, Louise, Hungerford, Telferner and Mackay (Louise's Husband's name). Built in 1903, this handsome cornerstone-of-the-town, was closed in 1934 and reopened in 1956. In 1974, when the new bank outgrew the building, it was given to the city to be used for Chamber Offices. It has also served Louise as the First Telephone Exchange, and had the Post Office in the rear for a time. A County Library Branch was there as well, and apartments were once on the second floor. Renters included the town watchman, a Justice of the Peace and Texas Ranger Tom Heard. 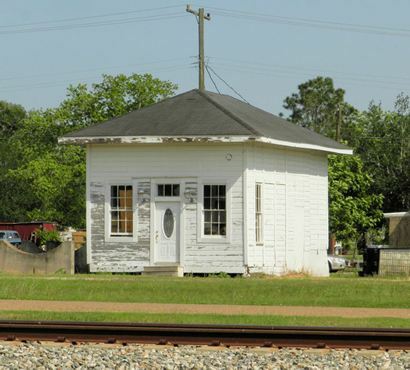 The Bank was robbed in 1965, and while the money wasn't recovered, the thief was captured. The beautiful vault door, visible today, came from a bank in Houston. Of note: The Vault had "a missing brick" which let air into the room in case employees were locked in during a robbery. Dances were held on the second floor of the C.A. 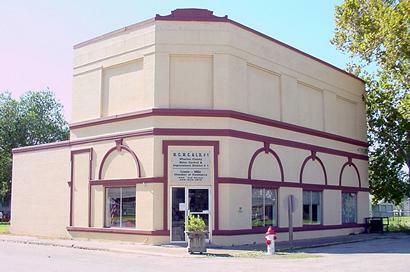 Wards store. Between dances, couples would sit on caskets provided for seating. 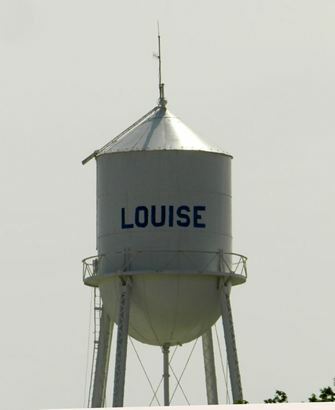 Louise won the Wharton County Girl's Basketball Championship in 1925. Team members were (among others) Louise Appling, Edna Cook, and Ruby Friday. In 1904 Louise had a combination Barber Shop/Photographer's Studio. Charles Petter Prop. In 1961 Louise had a unique "Outdoor Newspaper." Actually a billboard updated daily, the "newspaper" was read by patrons of the Short Stop Drive In, whose owner was the Editor. Lake Texana, 8 miles south on US 59. 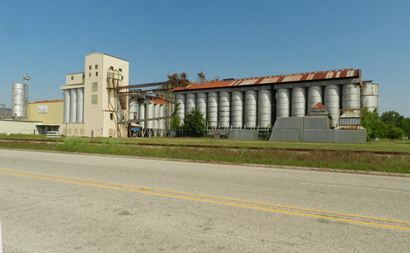 9 miles north on US 59 is El Campo and another 14 miles takes you to Wharton. TE wishes to thank Eula Lee Crowell of the Louise Chamber of Commerce for providing us with the material used in this condensed History of Louise.